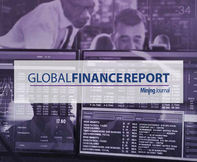 The Mining Journal Global Finance Report includes a summary of 2017's capital raisings, an analysis of investor sentiment, a critique of evolving alternative finance solutions, and a comparison of key stock exchanges. The report combines a variety of research techniques including financial data filtering and industry surveys to analyse IPOs and secondary raisings, equities assessed by capital gains and yield, stock market credentials and regulation, alternative financing soutions and results from our global survey of retail and institutional investors. The financing environment based on commodity pricing and equity performances. of retail and institutional investors gauging sentiment toward the mining space. Private Equity, Royalty and Streaming, Equipment Financing. "It's not regulation that fails, it's [the industry] as engineers and operators"
We ran a survey targeting private equity (PE) and alternative banking firms.